InSight (Interior Exploration using Seismic Investigations, Geodesy and Heat Transport) is a NASA Discovery Program mission that will place a single geophysical lander on Mars in September 2016 to study its deep interior. InSight needs seismic signals, and one sure way to get them is from the impact of bolides onto Mars. 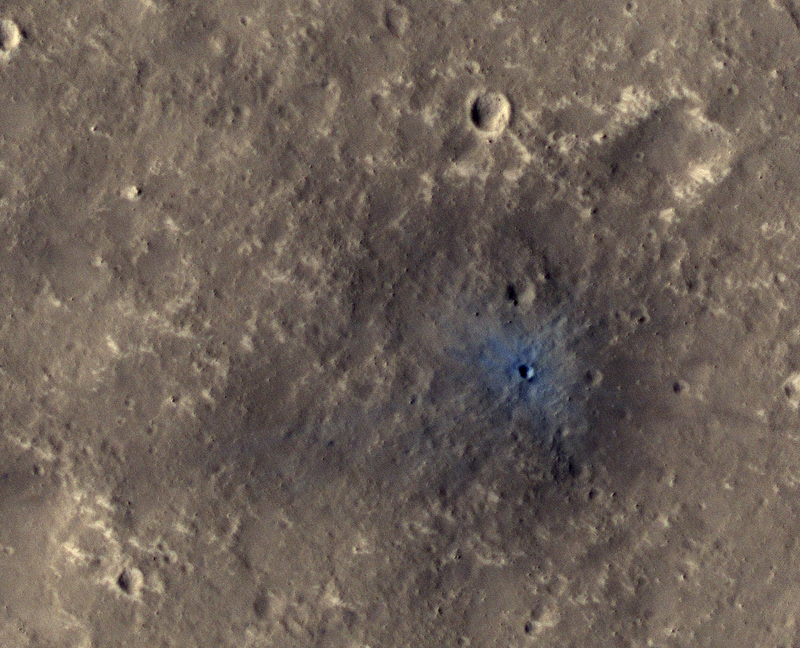 InSight can detect large impacts that are far from the lander and smaller impacts that are closer. 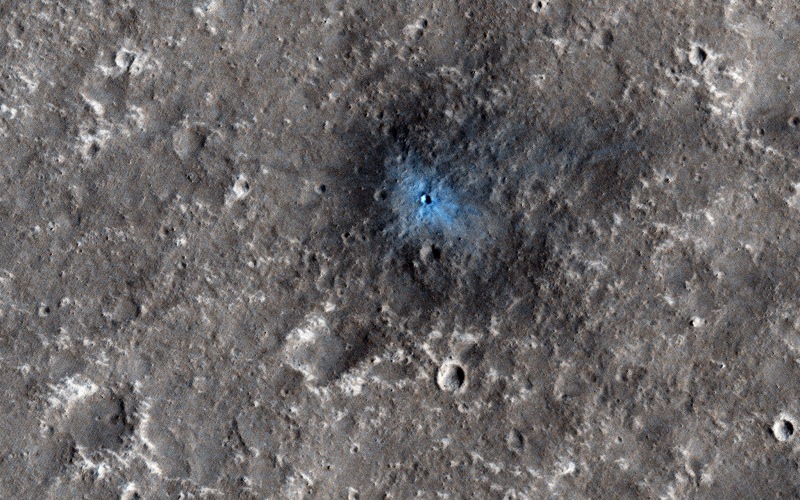 This recent HiRISE image, acquired to certify a landing site for the mission, shows a distinctive crater with a very sharp rim and ejecta that is darker and bluer than almost all of this dust-covered region. This must be a very recent impact because there hasn't been sufficient time for atmospheric dust to settle over this spot and re-brighten the surface. In fact, previous images suggest it formed between 2008 and 2012. This illustrates the type of feature that orbiting cameras will search for during the InSight mission, to attempt to correlate seismic signals to the point of origin. This is a stereo pair with ESP_037684_1845. Note: For more information, see PIA18776: A New Impact Crater Near NASA's InSight Landing Region.